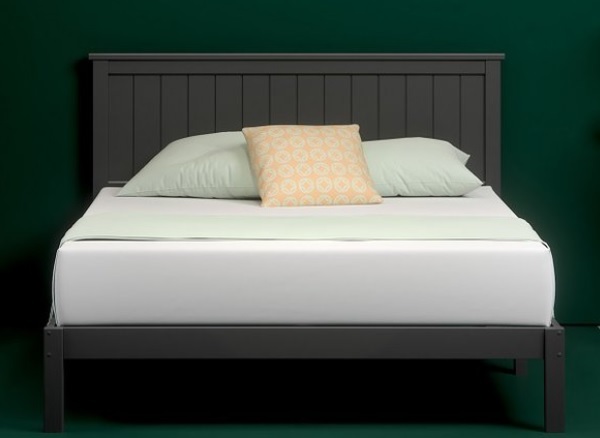 Why are Zinus Mattresses So Cheap? We finished our basement during 2016. But, we never put a BED in that bedroom, until last week. My sister and her family were flying in from the UK, so we were going to need that extra bedroom. We looked at the usual bed-in-a-box suppliers: Casper, Leesa, Tuft & Needle. In this wirecutter article, they call the Leesa the best memory foam mattress you can buy online. They also praise Casper. But those mattresses are $800 - 900.... and given that this will be a rarely used basement guest bedroom, we were looking for something a bit more budget friendly. Wirecutter name-checks Tuft & Needle, at $500+, and then Zinus, at $230. We ordered the 12" thick Green Tea mattress from Zinus, about a week before my sister was due to arrive. The mattress needed a place to sit, so we ordered the Wooden Cottage platform bed, too. Amazon ships these beds pretty quickly. Zinus, it turns out, needs a bit more time. A few days after ordering, it became EXTREMELY clear that the bed and mattress weren't gonna make it in time. In fact, my sister's family would already be GONE before this bed arrived. We should have planned better! On to Plan B.... We ordered a 12" Zinus SpaSensations bed from Wal-Mart, with next-day in-store pickup and free 2-day shipping. We figured we could return one bed, and one mattress, after the zinus.com stuff finally arrived. If you're in the market for a cheap mattress, this seems like a good way to go. Especially if, like us, your'e in the market for a bed in a guest room, or a kids' room. 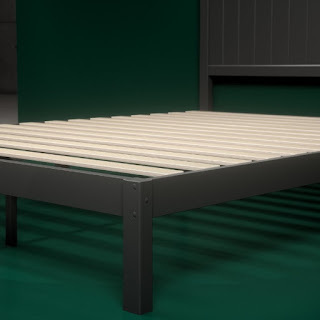 The beds are sturdy, and easy to assemble. And reasonably stylish - they don't look "cheap" at all. The Wood Cottage bed has a dark lacquered finish that resembles the Pottery barn beds we've put in other rooms. We ultimately decided to keep the SpaSensations mattress, and the Cottage bed. What WASN'T easy was the Zinus return process. They have no customer service line - the only telephone number we could find led to a recording, which directed us back to their website. We filled out the website return request..... And they simply never responded. Seriously - this is an F-minus level return process. 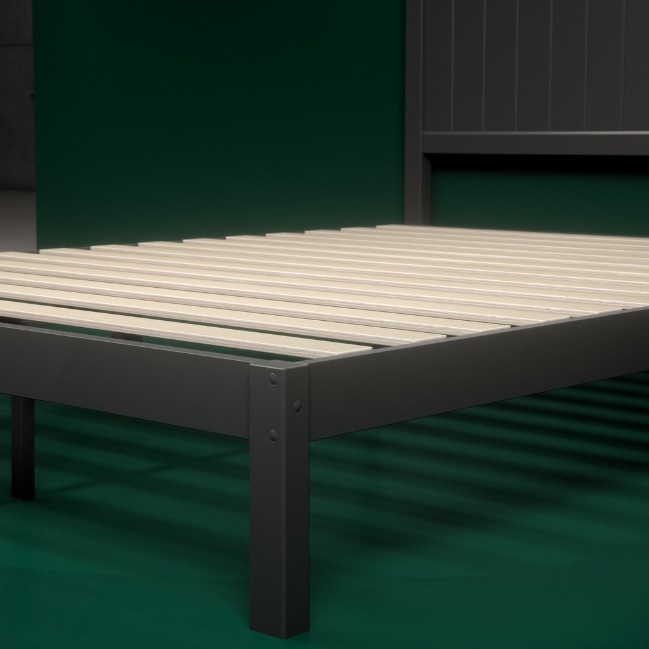 Bottom line - if you want a budget bed and mattress, Zinus makes quality stuff. I'm sure Leesa and Casper may be "better", but they're also three times the price. And ALL of them are better priced than traditional mattress stores. Just make sure you actually WANT this mattress - because returning a Zinus mattress (even unopened!) isn't a smooth process. I recently read your NuCore article. How is the flooring still holding up?